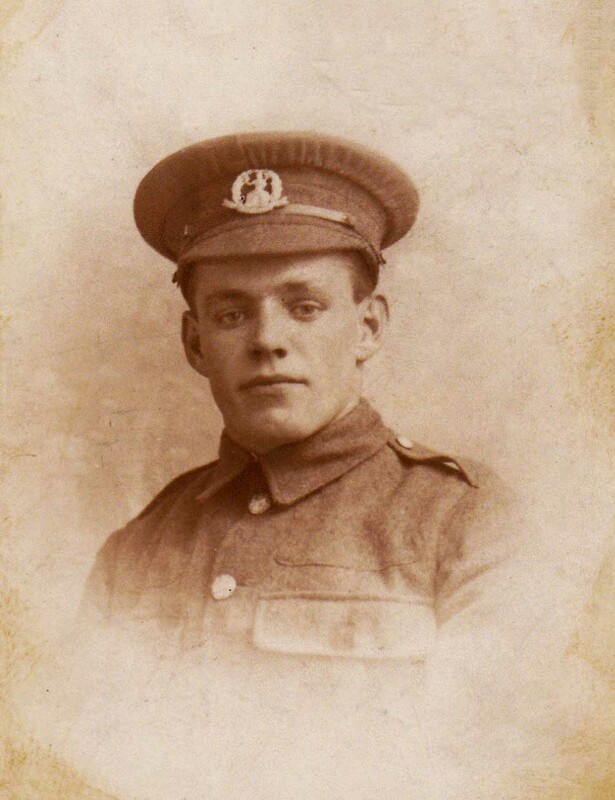 I was very interested to read your account of Harry Hazel, and how on 7 June 1915 he enlisted at Norwich as Sapper 85550 in the 208th (Norfolk) Field Company of the Royal Engineers. On 25th March 1915 my Great Grandfather Herbert Potter enlisted in the same company as Sapper 84711, just 839 men before so they maybe knew each other? Herbert was treated for shell shock on 16 August 1916 in the Pozieres / Bazentin-le-Petit area, but he survived the war returning to his work as a boot maker in Norwich where after short retirement he died peacefully in 1958 aged 76. Herbert was born in Norwich in 1881 but spent a lot his youth in Bethnal Green. As promised last month here is some more information about the graffiti that inspired the Scars of War project that took place in West Norfolk this autumn. We are very grateful to Kevin Hitchcock for all the research he has undertaken uncovering the fascinating stories behind the names. This post is all about one man who left his mark, literally in the tower of King’s Lynn library. Born 1893, died October 1916 Somme. Aubrey Cato was born in the quiet and picturesque Cotswold region of Oxfordshire. His father was a shepherd, his mother died when he was only a year old, perhaps due to complications caused by child-birth. Before the war he was living in Bampton and working as a farm labourer. Bampton is a small town now famous for being used as a film location for Downton Abbey. They were not a wealthy family and times were difficult for farm workers, but he would’ve been comfortable working with horses, and when war came, Aubrey volunteered to join his county Yeomanry, the Queen’s Own Oxfordshire Hussars (QOOH). He did not join alone, his best friend and near neighbour, William Hudson joined too. Over the past 4 years we have enjoyed sharing stories from research undertaken at Gresham’s School into their Old Boys and a recent email about how the research, and a trip to the Somme, have inspired current pupils is wonderful. 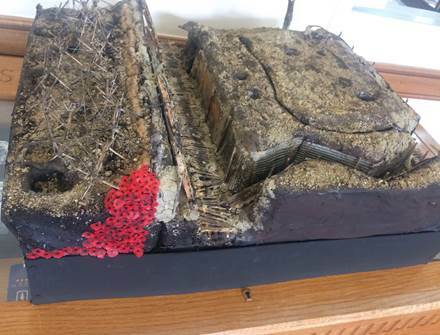 Year 9 pupils at Gresham’s School in Holt have created some impressive replicas of World War One trenches for a History competition following their recent trip to the Somme Battlefields in France. Ben Hunt, from Holt, was awarded first prize for his outstanding tribute entitled “Far Field” made all the more poignant as he had individually made 115 poppies for his trench to represent the staff and pupils from Gresham’s who had lost their lives in the Great War. 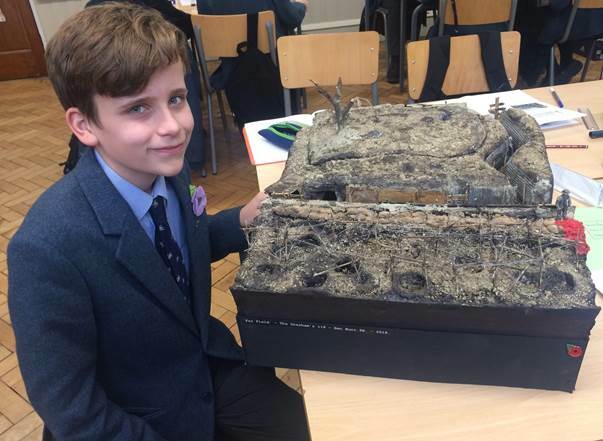 Ben said, “I feel extremely proud of what I have created as I spent so much time perfecting my trench to ensure it looked as authentic as possible.” The fourteen year old used a shoebox, wood, barbed wire and even some clay he had gathered on a recent trip to France to help recreate his trench. More than 500 former pupils fought for their country, leaving a lasting impact on the school and the surrounding community. As part of the commemorations of the end of the Great War, the school held Remembrance Services where the 115 pupils and staff who lost their lives were remembered. 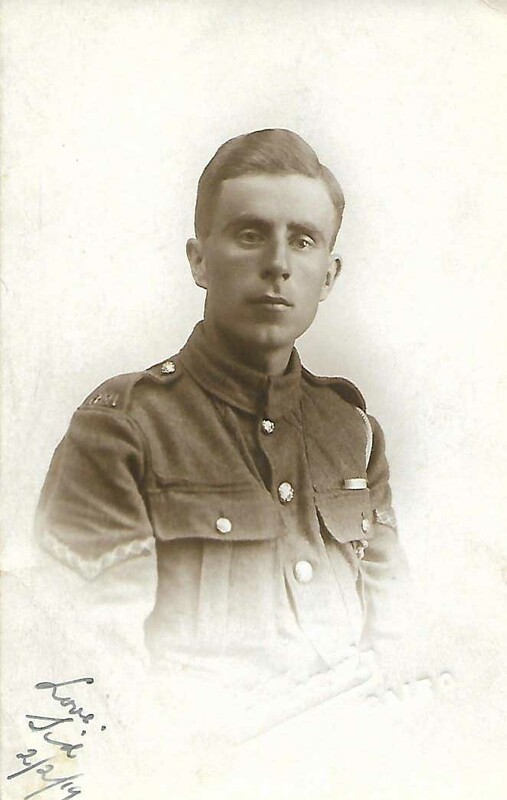 Private George Woods (25075) 13th Battalion Suffolk Regiment. Arthur Earnest Woods was born in Walpole St Peter, Norfolk in 1894. He was one of 8 children born to Robert and Elizabeth Woods. He was the second oldest of the six boys and it was only himself and his older brother George (my Grandfather) who were old enough to go to war. 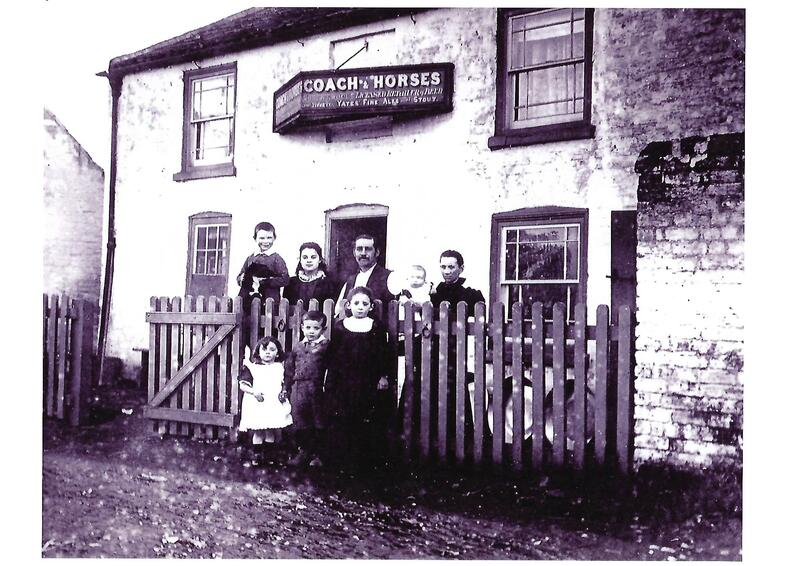 The Woods family outside their inn. Their father was an agricultural worker and Inn Keeper and whilst his older brother George initially stayed at home on the family smallholding, Arthur also a farm hand was quick to join up. His attestation papers show that he joined the 8th Battalion of the Norfolk Regiment on the 3rd September 1914 aged just 20. The 8th (Service) Battalion, Norfolk Regiment was raised at Norwich in September 1914 as part of Kitchener’s Second New Army and joined 53rd Brigade, 18th (Eastern) Division. The Division initially concentrated in the Colchester area but moved to Salisbury Plain in May 1915. They proceeded to France, landing at Boulogne on the 25th of July 1915 with Arthur amongst them. The division was concentrated near Flesselles and in 1916 they were in action on The Somme in The Battle of Albert. On July 1st Arthur was involved in the successful capturing of the Battalions objectives near Montauban, this was to be one of the few British successes on that fateful day. It is interesting to note that Arthur’s war record shows that he was promoted to Acting Sergeant on that day and just five days later to full Sergeant. This probably points to the number of his comrades and officers lost during that time. He was badly wounded during the battle for Delville Wood and it is unclear whether his leg was amputated there or on his return to England on 25th August 1916 where he was in Stamford Hospital, London. He was eventually discharged as unfit for war service on 10th Febuary 1917.
and after only four months training was sent to France on 6th July. He was soon to be sent to the front line near Pozieres. He was very badly wounded by a bomb explosion and gunshot wounds to his arms, trunk and legs on the 9th August and evacuated to England on the 28th August. He spent 8 months recovering in Netley Hospital before being discharged back to his home in Norfolk. 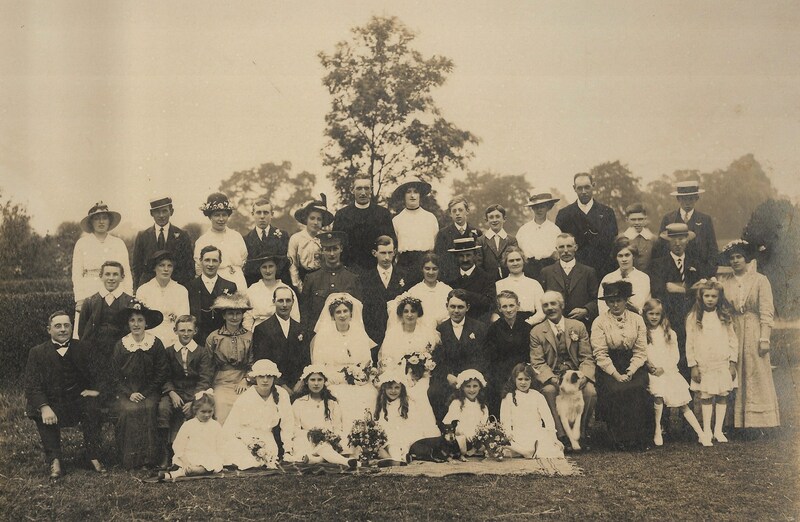 A family wedding from 1916. showing Arthur & George’s two sisters at their joint wedding, present are their four other brothers and their parents Robert and Elizabeth. George and Arthur are however missing from the celebration as it is taken when they were on the Somme. 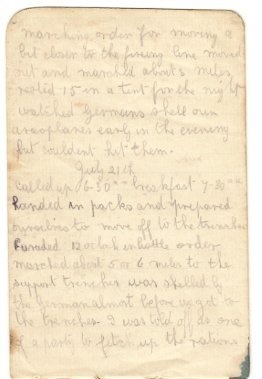 For a very short period during late July and early August 1916 the two brothers were on the front line less than two miles apart. They both returned to Walpole St Peter. Arthur married in 1917 and had four children. He died in 1952 aged just 58. George married in 1918 and had three children. He died at the age of 96. I am also researching my Grandfather on my Mother’s side who also fought in the First World War. He was in the East Anglian Brigade – Royal Field Artillery, fighting in Palestine and Egypt. He came from Neatishead and is mentioned on the Neatishead and Barton Turf Community Heritage Groups Site. His name was Sidney George Chambers and I have attached his photo too taken during his time in Egypt. I again am lucky enough to have information from his war record and am hoping to get down to Norfolk again soon to do more Family History research. I was born in Norfolk but have lived on the Shropshire / Welsh border for over 40 years. I am involved in World War 1 research as a member of the Centenary Partnership and have visited the areas where my relations fought indeed even standing where my grandfather was wounded, where he was treated and the graves of his comrades killed in the same incident. Through the help of a friend and Somme Guide who lives in Martinpuich we were able to use Grandad’s diary and the Battalion and Brigade diaries to trace his footsteps extremely accurately. I am currently writing a play regarding his time in Norfolk and during the war and hope one day to bring it to Norfolk. If like Chris you have discovered a family story please do consider sharing it with us – we would like to remember the stories of as many men as possible. Here Edward tells us why he dedicated his book to this one man. 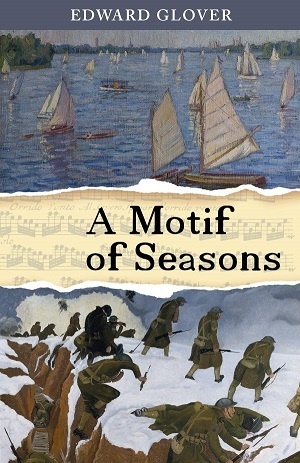 There were two reasons why I decided to dedicate my book – A Motif of Seasons – to Private Charles Alfred Lawrence of the 9th Battalion of the Norfolk Regiment. First, I decided from the beginning that my story (spread over three books) of the tempestuous relationship between two families – one English in Norfolk and one German near Berlin linked by an unexpected marriage in 1766 – should end in the tragedy of the World War 1. In Britain and in Germany no family was spared the bitter consequences of such a terrible conflict. Second, the Royal British Legion campaigned in 2014 for every British soldier killed in the Great War to be personally commemorated. My wife and I wished to participate, not least because the war memorials in Norfolk villages like mine are ever present reminders of the losses these small communities endured. 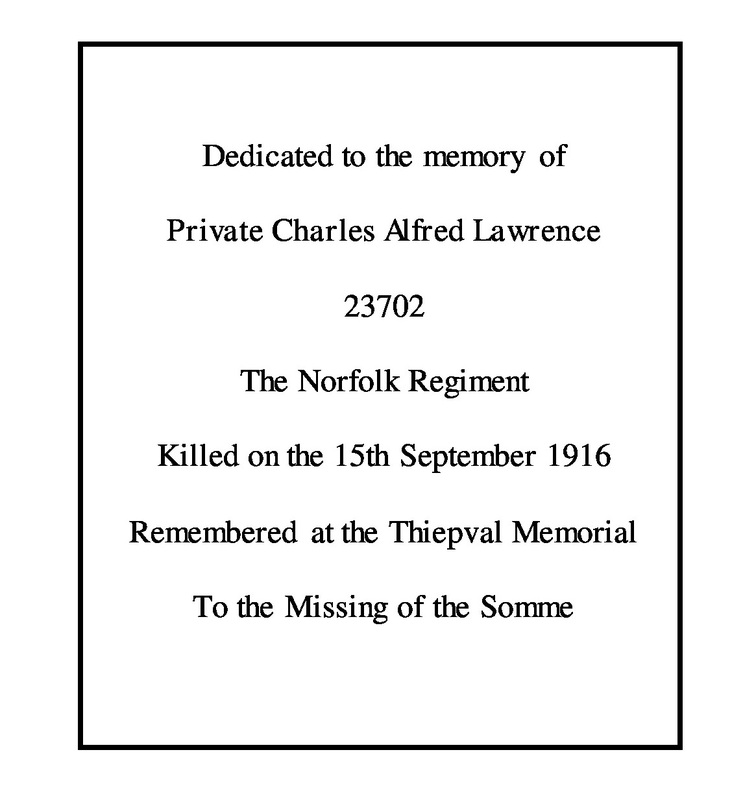 Whether by design or accident, we received a certificate bearing Private Lawrence’s name and recording that he fell (at the age of 21) on the 15th of September 1916 in the Battle of the Somme. With no known grave his name is carved on the Thiepval Memorial to the Missing of the Somme. I thought it duly fitting that the last book in my trilogy should be dedicated to him, serving to all who read the book as a poignant reminder of the sacrifice that young men like him made. Arising from this dedication, it has been an honour and a privilege to establish contact with the present-day Lawrence family who were deeply touched that I should remember their ancestor in this way and who have shared with me some personal information about him. Moreover, last summer I travelled to France to see where he fell and his name on the Thiepval Memorial. Copies of A Motif of Seasons will be available to borrow from the library very soon and we hope to plan a talk with Edward before too long in 2017. 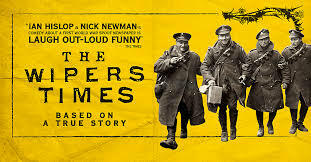 The Wipers Times is a new play (based the TV drama of the same name) created by Ian Hislop and Nick Newman and apart from calling it a wonderful watch putting into words what I saw on the stage is proving very difficult. The comic scenes of the men writing the articles (these would start by simply being read and turn into action scenes upstage or shown as full vaudeville acts) were interspersed with scenes from behind the lines in staff HQ, the men on leave in France and the bittersweet moments of home leave or letters. Then there were also the scenes of the men in the trenches waiting for the big pushes – the Somme and 3rd Battle of Ypres for example. I found the play managed to show the absurdities and horrors of war very effectively without ever feeling as if it was playing with my emotions, it was sad at times but overall very uplifting. I’ve seen the play described as a cross between Blackadder Goes Forth and Oh! What a Lovely War but I did also see a hint of Journey’s End in there – it wasn’t all comedy. Some of the lines, puns and jokes were terrible and were signposted a mile off but these weren’t necessarily the lines from Hislop and Newman and neither were the lines about press accuracy interestingly enough. What I found the most interesting about this play however was how much the later World War One satires such as Blackadder owed to the Wipers Times even if this was unintentional and they knew nothing about the paper. All of the original editions of the Wipers Times newspaper were reprinted in a facsimile edition and you can borrow this from Norfolk’s Libraries but I really do hope that this play will return to the stage soon – it has an important story to tell. 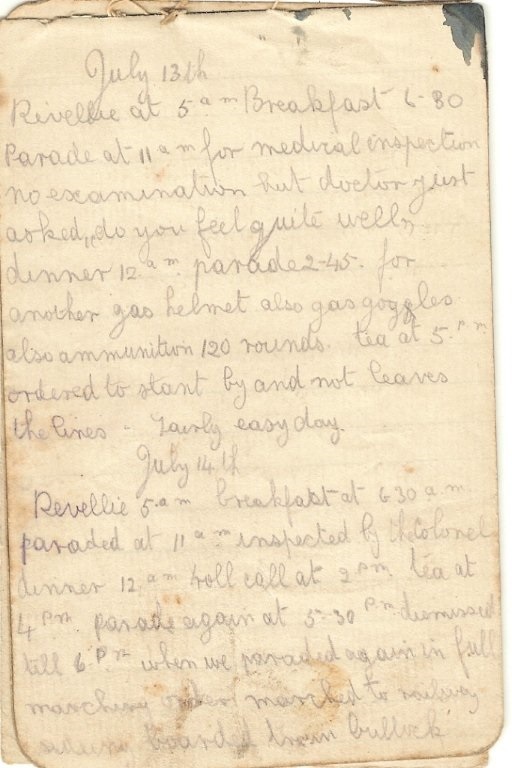 This blog post has been sent to us by Annie Grant and Maggie Johnson as they share their grandfather’s experiences on the Somme just over 100 years ago. 100 years ago, on 4th September 1916, our grandfather, Arthur John Thurston, was shot in the thigh while he and his regiment were attempting to capture the German-held Falfemont Farm, as part of the Battle of Guillemont fought between 3 and 6 September 1916. The first attack was repelled by the Germans, and, as he told us when we used to visit our grandparents or they came on one of their regular visits to see us in London, he was shot in the thigh during the failed attack and spent 24 hours lying wounded in a shell crater before being rescued when a second attack on the farm on 5 September was more successful. 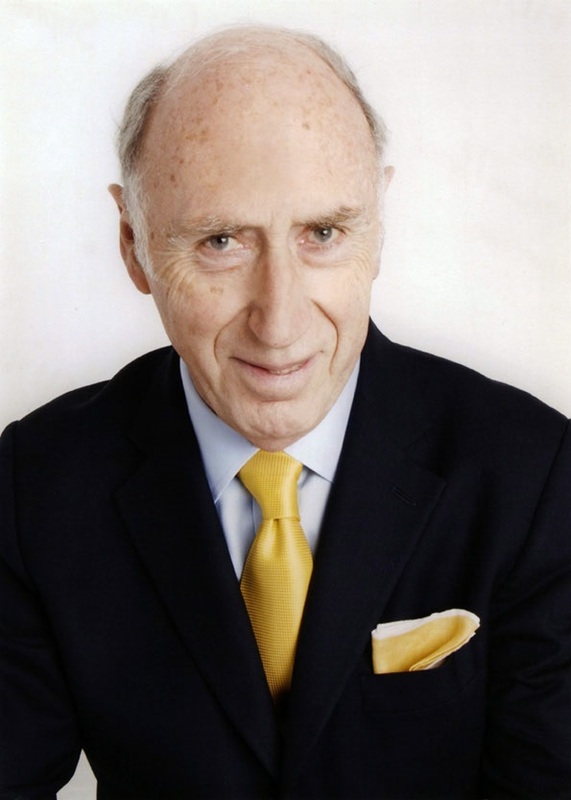 Arthur was born and bred in Norwich and was a member of the congregation of St Giles Church. He began his working life as a boot maker, and on 22nd December 1914, 3 days after his 17th birthday, he enlisted, joining the 6th (Cyclist) Battalion of the Norfolk Regiment. 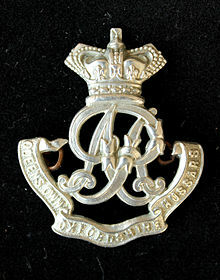 This battalion had been established in August 1914 as part of the Territorial Force whose principle role was not overseas service but home defence. 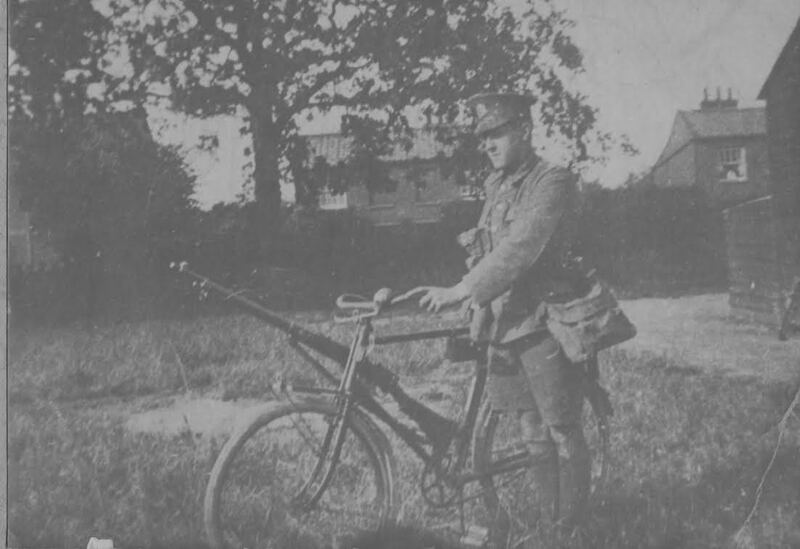 We have a fine photo of him in uniform standing beside his bicycle, with his rifle attached to its frame. Arthur, like the many of the fellow soldiers in his Battalion, signed up for overseas service and was transferred to the Western Front to take part in the fighting there. Fortunately for him, and of course for us, after his injury he was not deemed fit enough to be sent back to the front. Following periods of recuperation and rehabilitation in 1917 at Ampthill Camp in Bedfordshire and in North Walsham, he worked as a Regimental shoemaker first in England, and then in Ireland when his battalion was posted there in early 1918; he was demobbed in February 1919. His experiences in France and in Ireland made a big impression on him, and on us as children. He spoke very little about the fighting in France other than to give us the very bare details of the circumstances of his injury, but he reminisced a great deal about Ireland, where he had developed a real fondness for the country and its people. Although he had made a good recovery from his injury, he still experienced some adverse effects from his wound, and in 1924 was awarded a 25% war pension. Most of the rest of his working life was spent as a shoe maker, first in Norwich, then, during the depression, in Lancashire, and back in Norwich from the late 1940s when he worked on the shop floor of the Norwich shoemakers Edwards and Holmes until he retired. He was a very kind and gentle man and a wonderful grandfather. There is no doubt that his Somme experiences were for him, as for all those who fought there, very traumatic, but there was a very positive and unexpected outcome: in the mid-1950s he was contacted to say that his name had come to the top of the list of those eligible to live in one of the houses that make up the Royal Norfolk Regiment Memorial Bungalows on Mousehold Lane, which were built between 1948 and 1950 originally for 2nd World War veterans wounded in service. Our grandparents happily accepted the house offered and we spent much time with them there in our summer and Easter holidays from school. He was able to spend the rest of his life, right up to his death in 1972, living more or less rent free in ‘Europe’, which, being at one end of the crescent of 6 houses, had the advantage of good-sized side and back gardens in which he could grow his vegetables, and a front garden where our grandmother could grow flowers. We thank Annie and Maggie for sharing their memories, and their grandfather’s story with us – if you have a story to share please consider contacting us and letting us share it with our readers.